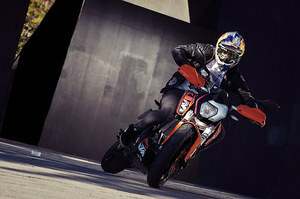 Sport bikes emphasize speed, acceleration, braking, and cornering on paved roads, typically at the expense of comfort and fuel economy in comparison to less specialized motorcycles. Sport bikes have comparatively high performance, high-revving engines resting inside a lightweight frame. Inline-four engines dominate the sport bike category.